Over the last 12 months, our youth circus department has grown from strength to strength and we now have on average 40 students attending our classes each week. To capitalise on this growth, we now wish to offer our young circus students the chance to bring real-life performance experience to their circus practice, with the guidance and direction of instructors who lead by example and encourage young circus students to lead themselves. To help us to achieve this aim, we wish to contract a youth show director over ten weeks, to create a Christmas show for our students to perform. 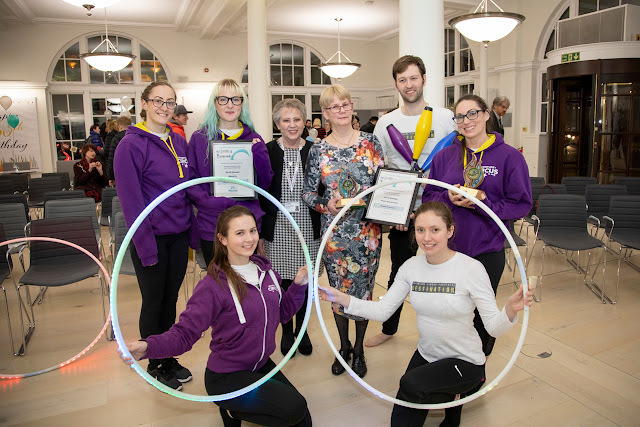 The main objective of the youth show director is to oversee the successful development, growth and performance abilities of all youth circus performance participants, in order to deliver a youth circus show. The second objective is to create a thriving environment for youth-driven engagement in circus arts in Perth. If you think that you fit the bill, then read on for our essential and desirable personal requirements, and our full job description. To apply, please send your CV, examples of your work (video and/or reviews) and a covering letter addressing your suitability for the role to admin@adventurecircus.org by 5pm Monday 26 September. Your cover letter must address your suitability for the role based on objectives one and two and must outline your individual experience. The post will be subject to a successful Protection of Vulnerable Groups check and insurance document checks. This project is joint funded by Adventure Circus, and a Voluntary Action Fund Community Grant (2016-2017).